Nate. Bed frame. Pyramid shape. Amazing! I love many aspects of this room. 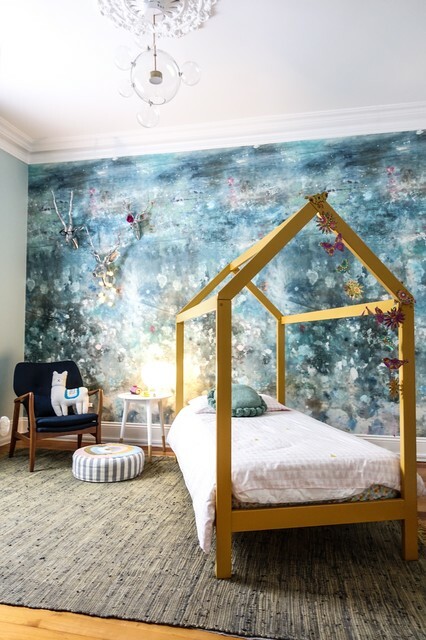 Such a great feature wall for a children's room.